Glittering and gasp-worthy. Some observers might describe the figure skating world this way, but it would also be an apt summary of Yuri on Ice, the figure skating anime that’s taken the interwebs by storm. Never in my adult life did I imagine my nerd-doms would collide in such a charming series. And never did I imagine so many others would be taken by it too. However, whether you were a figure skater or not, you’ll be drawn to the story of Yuri Katsuki, an elite Japanese athlete who needs some help getting back up on his skates. Like in many competitive sports that favor youth, hitting your early twenties in figure skating usually leads to the sunset of one’s amateur career. 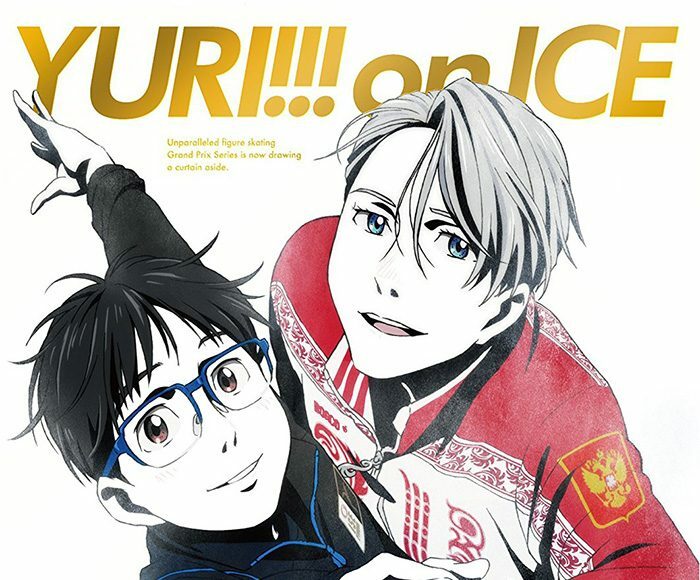 Yuri is twenty-three, and his crisis of confidence doesn’t go ignored by Viktor Nikiforov, a silver-haired Russian star in the field. Love-is-love deniers beware, there is a sweet romance brewing between the two that anyone would have trouble saying it’s not endearing. Thankfully, the promise of more isn’t far off as a second season is in the works due to the surprise popularity of Yuri’s debut. You’ll meet a vibrant cast of supporting characters whose personalities and motivations are memorable and distinguishable. I don’t know how the animators and writers managed, but in relatively short twenty-minute episodes, I find myself empathizing with not only Yuri but his competitors whom he also deeply respects. My favorite is Phichit Chulanont, the Thai wunderkid who’s trailblazing as an elite skater from Southeast Asia. I just can’t wait to see how many country jackets may be seen at Anime Expo, where there will for sure be many cosplayers of Yuri Plisetsky, the relentless Russian star, or maybe Otabek Altin, the prideful Kazakh stud. This room for bold and maybe even melodramatic characterization is something that the medium of anime lends itself well to. With a blank canvas or screen, there’s no excuse not to go all-out. Need I remind you of Naruto? Most importantly, the figure skating world is painstakingly and lovingly rendered in 2D, and as a former rink rat, I was impressed by the details I saw even in the background art. For example, at most rinks people skate counterclockwise, and in YOI, I saw a sign in the background with kanji indicating “to the left.” The real marvel is the actual animation of the figure skating. Skeptical at first, I changed my mind when I realized I felt like I was watching the real thing. The intro alone is a work of art, and I often held my breath when a skater attempted their third quad jump in the routine (program, as we formally call it). The skater fell, and I felt for them much as I would watching live figure skating with real medals at stake. Beyond the movements, the stresses, struggles, and surprises of the figure skating world were outlined faithfully. Yuri Katsuki is a small-town hero in a nation that now often stands at the top of figure skating podiums (search Yuzuru Hanyu, be amazed), while Yuri Plisetsky, his chief rival, comes from a nation with a long history of champions. So it would make absolute sense for the figure skating world to be shocked when the Russian prince Viktor takes a break at the height of his career to coach a Japanese skater. This is about as far-fetched as the series gets though, and it’s necessary since it gives Yuri K. new and intriguing (sparks! fly!) motivations to skate well. As for me, I will never be able to think about a bowl of savory katsudon the same ever again. However, the happiest aspect of the series for my fellow former figure skater viewing friend (say that five times fast!) and I is how sportsmanship is depicted in the anime. I’ll admit, it’s been a while since I watched Prince of Tennis, so I don’t have a recent point of comparison. I can say that in YOI, everyone’s biggest competitor is truly themselves, and rather than cut their fellow athletes down, they want them to do well to make for interesting competition. In a show about figure skating, whose athletes aren’t immune to the temptations of doping or even clubbing another’s knees to get ahead, it would have been easy to capitalize on this history of scandals to make for cliffhangers that would keep people watching. Don’t be swayed by the crazy costumes in this series (indeed, I think they’re one of the best parts) and give a different type of sports-based show a try! As the Russians would might say, davai!